Spend more time with family and friends, both old and new. 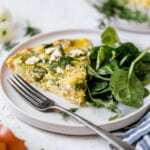 The act of gathering together over food or gifting another with a homemade treat connects people in a way that social media or a quick ‘hello’ can ever do. At it’s most basic, food is love. 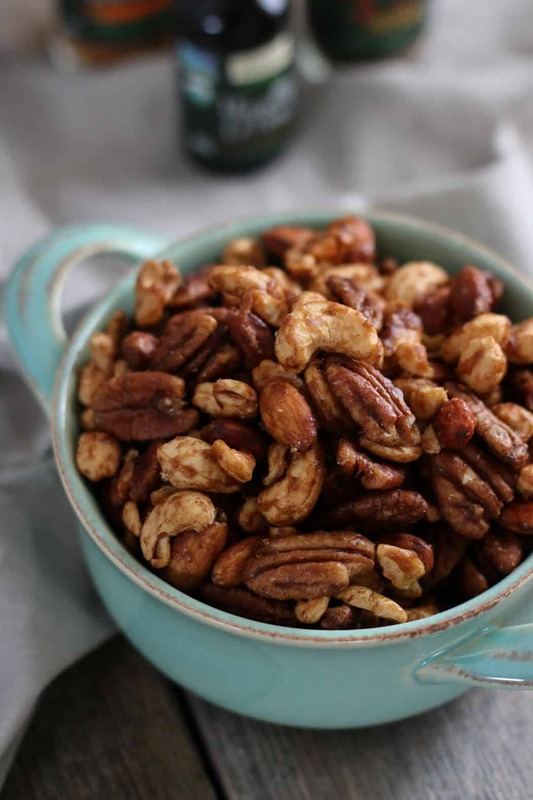 Make these Slow Cooker Spiced Nuts and share them with all of your friends. Or make them for your next holiday gathering. Or make them for a sweet little treat for lunch boxes or to add to your morning bowl of yogurt or oats. It really couldn’t be any simpler than adding nuts, maple syrup, honey, orange zest, vanilla and spices (and LOVE) to a parchment paper-lined slow cooker and letting the low and slow heat work it’s caramelizing magic to create this simply amazing holiday treat. 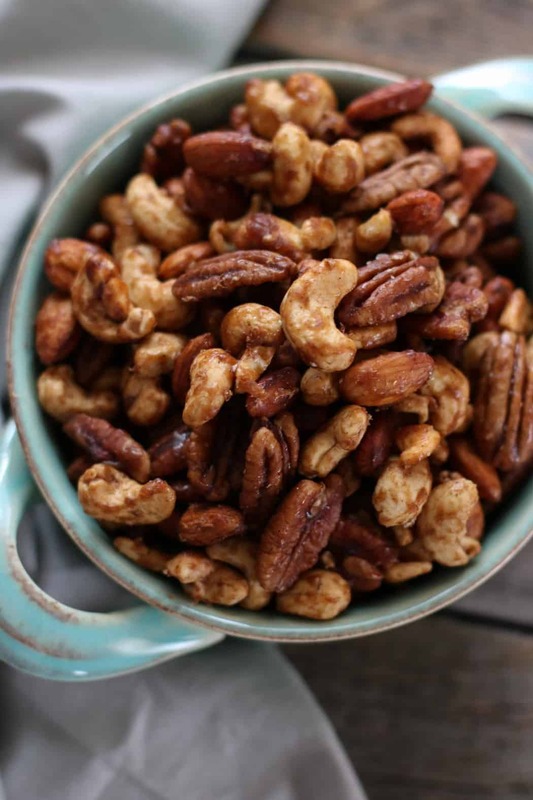 And there’s just something about the heavenly scent of cinnamon, ginger, allspice cardamon, nutmeg and vanilla that fills your home when these spiced nuts are cooking. 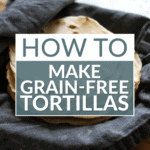 You may find yourself making several batches this month. Some for you and some to gift to others! 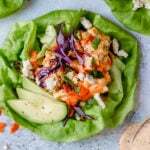 For this recipe I used Frontier Co-op Organic spices which are widely available in grocery stores nationwide in both little bottles and in bulk. The beauty of being able to get them in bulk means I can get just what you need without having to commit to an entire bottle – I mean, I love allspice but how much can I really use an entire bottle in 6-9 months (which is the recommended self-life for ground spices)? I also love that their spices are organic, non-GMO and sustainably sourced meaning they’re gentler on the planet and take into consideration the welfare of the farmers and their families who grow and harvest them. 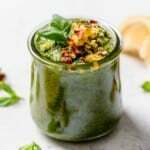 Because they can react differently, it’s important that alcohol-based extracts (and not water- or vegetable oil-based flavors) are used in all recipes that specifically call for an extract. Likewise, flavors should be used in recipes that call for them specifically. If using flavors in order to avoid consuming even slight amounts of alcohol will want to utilize recipes that specifically call for flavors. You really should make these merry-making, holiday-enhancing, incredibly snackable Slow Cooker Spiced Nuts right now before things get too busy. I love to add them to a cheese or vegetable and hummus plate or sprinkle them over roasted pears or apples. And chances are good that your guests – like mine – will love them no matter how they’re served. And, they really do make the sweetest little gift when packed into little jars. A lightly sweet treat that everyone will love. 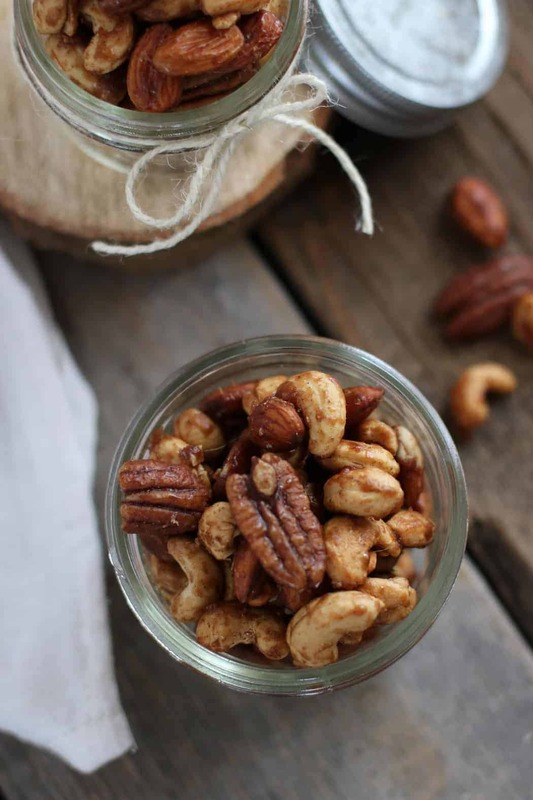 Made in the slow cooker, these Spiced Nuts are simple to make and are the perfect food gift for the snack lovers on your list. 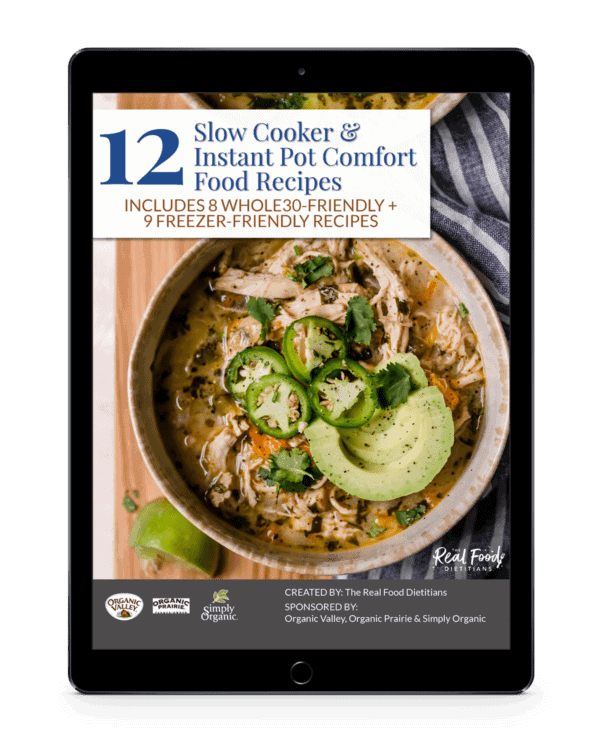 Line a slow cooker with parchment paper, pressing the excess paper against the sides and creasing as needed so it lays flat against the side of the slow cooker insert. 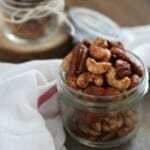 Place nuts in slow cooker. Add remaining ingredients to slow cooker and stir until nuts are evenly coated. Place lid on slow cooker and set to LOW heat. After 30 minutes, remove lid and stir nuts. Replace lid. Continue cooking, stirring every 30 minutes, until nuts are sticky and fragrant (about 2 – 3 hours depending on your slow cooker). Use parchment paper to carefully lift nuts out of slow cooker. Place on a large baking sheet, stirring occasionally until completely cool. What are your favorite food gifts to give and receive? Share in the comments below. This post was made possible by our friends at Frontier Co-op. Though we received compensation for this post, the opinions expressed here are – as always -100% our own. 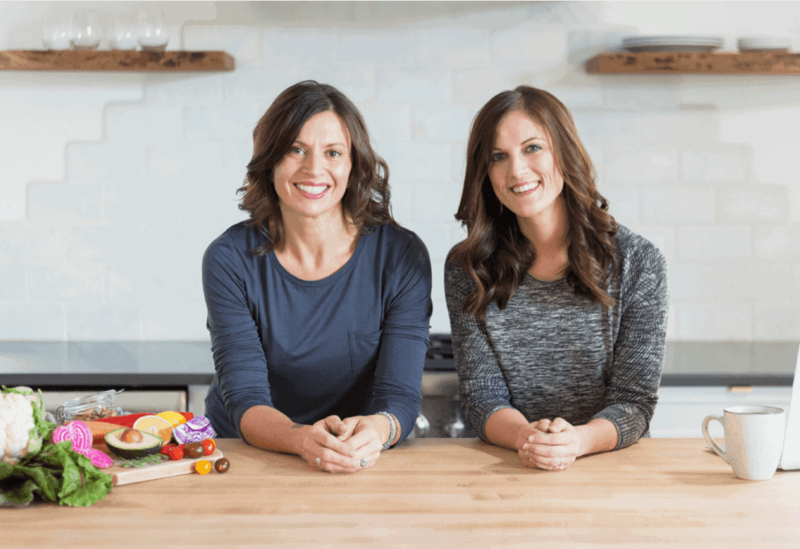 Thank you for supporting the great companies we work with thereby allowing us to continue creating great recipes and content for you. I made these over the Holidays…they were tasty! Great! Thanks for sharing, Danielle! I do not have a slow cooker. Would it work to cook them in the oven? You can spread the nuts on a parchment-lined baking sheet and bake the oven at 200 degrees F. I’d check them every 30 minutes or so, more frequently as they get closer to being done. Thanks for the recipe! 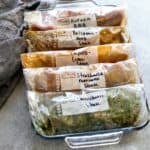 I am looking for some idea for food gifts for Christmas that I can make early and store in the freezer. We are doing a major remodel at the end of the year but I still want to do teacher, neighbor, friend gifts. How do you think these would store for a month or two in the freezer? Thanks! Hi Jane! I would suggest making this recipe soon and then freezing them to see how they hold up. You could check after a couple of weeks. My guess is that they will be fine but since they are a gift I wouldn’t want you to making several batches and then they don’t turn out how you’d like. 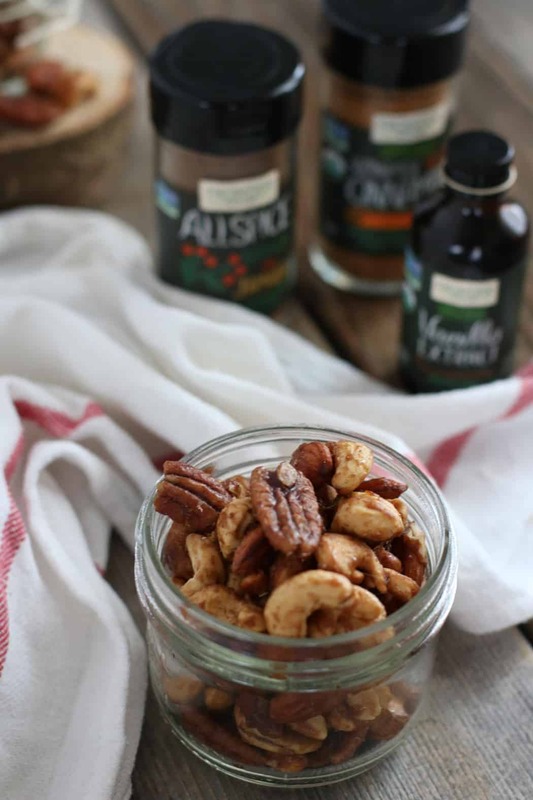 These spiced nuts will make the perfect holiday gift! Can I use sugar free syrup instead of pure maple as I am diabetic? Unfortunately you can’t. You need the sugar in the syrup to get that nice caramelized candy coating. Would these need to be refrigerated? I am planning to make as Christmas gifts a few weeks early and wasn’t sure how long they would stay fresh? Thanks! In the fridge would be best. Hope you enjoy! Can I use a crockpot liner (bag) instead of parchment? If you plan to gift the day after making, do they need to be refrigerated? They do not need to be refrigerated and can be stored at room temperature. I store them in an airtight container in the fridge if I know they aren’t going to be eaten right away. They will last a good 2-3 weeks in the fridge. These are fab-u-lous!! Is there any reason the recipe can’t be doubled? I have an enormous crockpot and a lot of raw nuts (and a lot of names on the gift list). 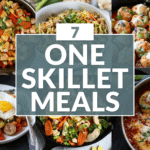 It would be great to make a double batch in the same amount of time. Thank you! You can double the batch though they’ll probably need to be stirred more often since you’ll have a larger amount of mass in the slow cooker. 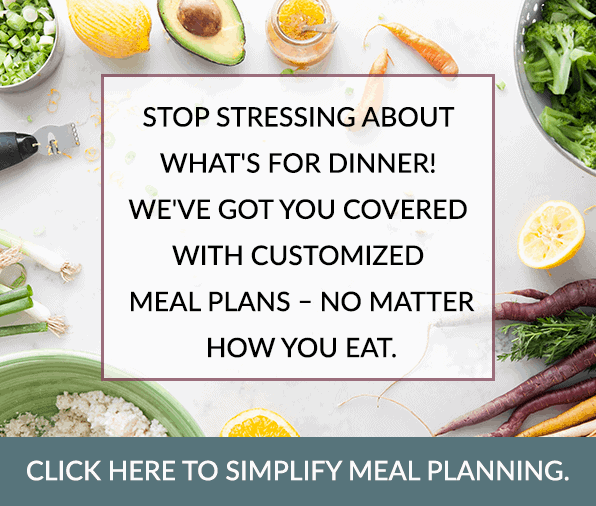 You may also need to add a little more cooking time depending – though I can’t be sure. They should not be gooey once fully cooled. It may be that your slow cooker isn’t as hot as ours or that your lid fits tighter (and thus does not allow as much evaporation of liquid during cooking). Next time I’d suggest cooking them longer to see if that remedies the issue.